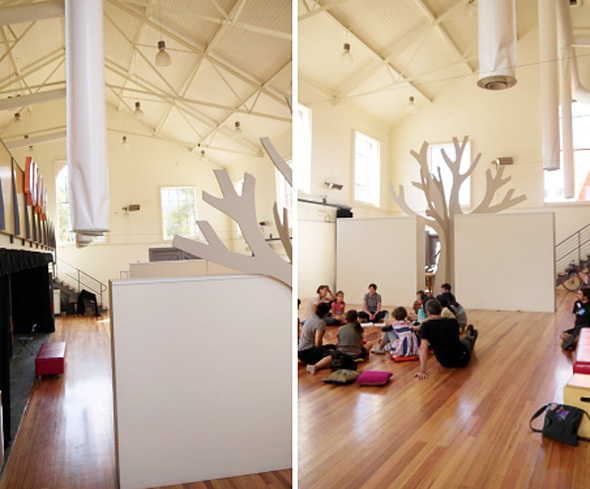 Today I want to think back to Australia and present you a place of playDUcation that I believe could be a model for any metropolis in the world: Artplay in Melbourne. Simon Spain is its founder & leader and an artist whose greatest ambition is to playfully educate kids & families to use art as an integral element of their livelong learning. When I visited on a Sunday afternoon there was a group learning about to create a presence on the web: how to set up and maintain a blog, how to spread the word through social media. I really like the space. The openness and scale of the building make people feel they can create on a large scale, as Simon shows me. The huge open spaces and warm, bright natural light convey a feeling that anything is possible. Materials are brought in, used to create – but as a principle, the spaces are kept wide and clean, ready for new creations. 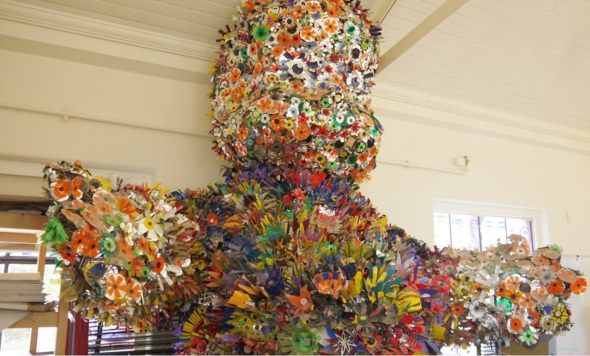 So what happens when you have some artists playing with kids? Artplay’s impact is subject to research: In 2007, ArtPlay began its own formal investigation into its role as both children’s educator and creative outlet. A three-year research program was established in partnership with the University of Melbourne and the Australian Research Council. Their results are online: http://www.edfac.unimelb.edu.au/ace/research/artplay.html. One of the findings: “There was evidence of the development of cultural citizenship. For example, a sense of community was evident in programs that provided opportunities for children, artists, parents/carers and ArtPlay staff to engage in the co-construction of art and play. And workshops encouraged children to take responsibility for their own choices and subsequent learning outcomes.” In short: It works! And what’s Artplay’s business model? It’s a non-profit. Most of the workshops come with a participation fee, but this doesn’t cover the full cost. 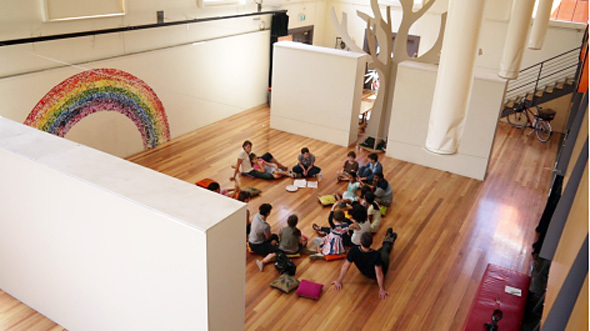 ArtPlay is owned, established and run by The City of Melbourne. 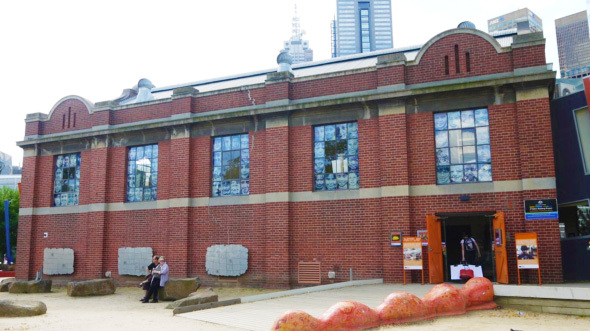 Artplay receives funding from the City of Melbourne and several other partners, such as the Sidney Myer Fund and the Australia Council for Arts. The last picture from Artplay is dedicated to Klaas Hammer (HSD) and Dr. Mihai Cikala (Apple)!